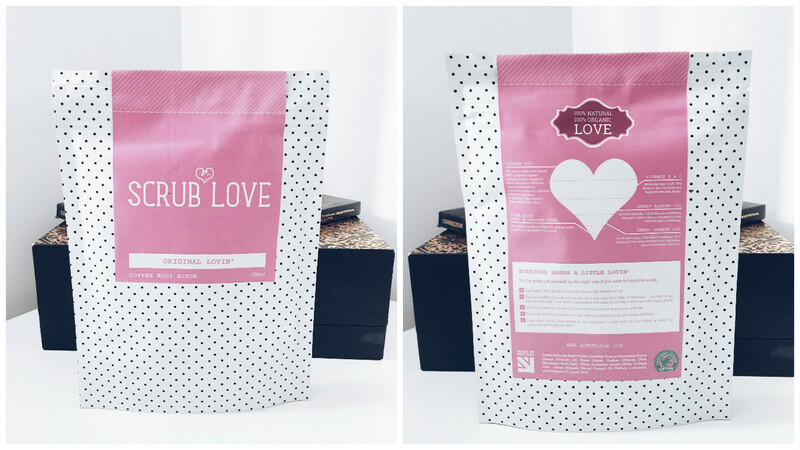 Scrub Love are a company from the UK who make 100% Natural & Organic Coffee Scrub Skincare. Their products are also Fairtrade, Rainforest-Allience Approved & Ethnically sourced. Today I'm reviewing the 'Organic Lovin' Coffee Body Scrub. Want the softest skin around? The first reason I fell in love with these scrubs so much is because of the effect they have on my skin, I'm left feeling cleansed, nourished and protected. The product gently exfoliates the skin and as someone who has sensitive skin, this is perfect for me, I get no irritation and it doesn't have a damaging effect. The scrub also leaves a protective barrier on the skin which reduces the risk of your skin drying out by adding moisture, perfect for those who suffer with dry skin or spend a lot of time in the sun. Scrub Love care about animals, therefore, they do not test on them at all. I personally do my best to make sure all products I use are free from animal testing, so I absolutely love that Scrub Love don't test on them. This means no Parabens, Preservatives, Fragrances and Artificial colours, again, showing how much love they really do put into their products. All the ingredients are blended with a custom formula to create the beautiful scrubs. Being free of all of these ingredients means they are safer for you and safer for the environment. Roast Organic Coffee; Not only is coffee a great natural exfoliator for the skin, helping to remove dead skin cells and buffing to perfection, it's also a stimulant, you may not believe it but the caffeine works on your skin just as well as it does the brain, making it the best product to wake up to! Pink Rock Salt; For anyone with sensitive or inflamed skin, this ingredient will really help. It's a natural Anti-Septic, as well as Anti-Inflammitory so it will reduce any redness or swelling and fight infection on the skin. GREAT FOR ACNE! Sweet Almond Oil; This is one of the most efficient ingredients, packed with vitamins and minerals, it's perfect for anyone suffering with Acne, It helps to break down the sebum on the skin, which means the oils on your skin will be reduced and your pores will be cleaner and clearer. Almond Oil is an emollient, therefore, creating a protective barrier on the skin, great for conditions such as; Eczema and Psoriasis and anyone seeking a silky smooth finish..
Vitamins C & E; Both help to eliminate the appearance of fine lines and wrinkles as well as making the skin brighter. Sweet Orange Oil; Detoxifying and Anti-Inflammatory, again helping to fight bacteria and reduce and Inflammation of the skin. It's also such an uplifting smell, enough to put a smile on your face first thing in the morning! Organic Orange Peel; Anti-Oxidant - Will help to reduce or delay the damaging of cells, and also eats up bad radicals, such as exhaust fumes and pollution that sit on the skins surface. The citric acid helps to tone the skin, removing excess dirt and brightens the skin. Scrub Love have created the cutest packaging for their products, and don't worry, they aren't all pink! Other scrubs such as Mint Temptation and Coconut Affair and blue and green and great to gift to men or those who aren't pink lovers. These additions are fab if you're not a fan of coffee itself, giving you more nourishing options. I will be reviewing both of these soon. The design is really eye catching and you can see how much love has been put into their products. I think for the amount you get in each pack, the outcome of the product on your skin and how much love they've put into making these 100% natural and organic, the pricing is fantastic. Grab yourself a bargain because they are worth every penny. Get featured! 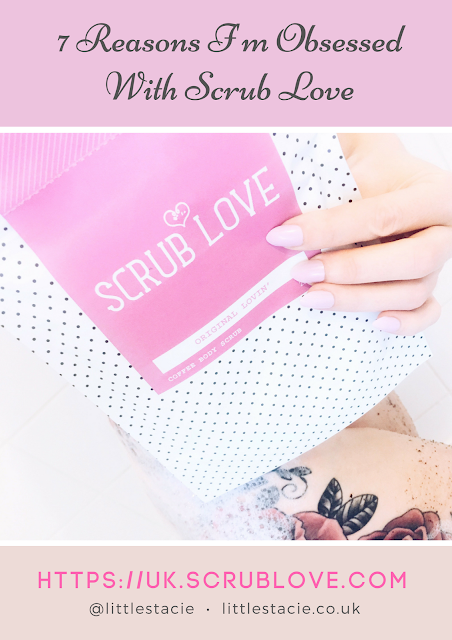 Once you've received your product, takes selfies with them and hashtag #babesthatscrub for a chance to be featured on the scrub love page - get creative!